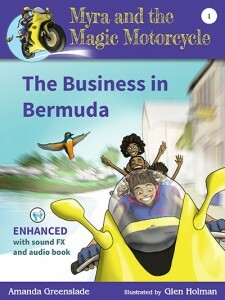 Myra and the Magic Motorcycle is Amanda Greenslade's, the director of Australian eBook Publisher, debut children's book. 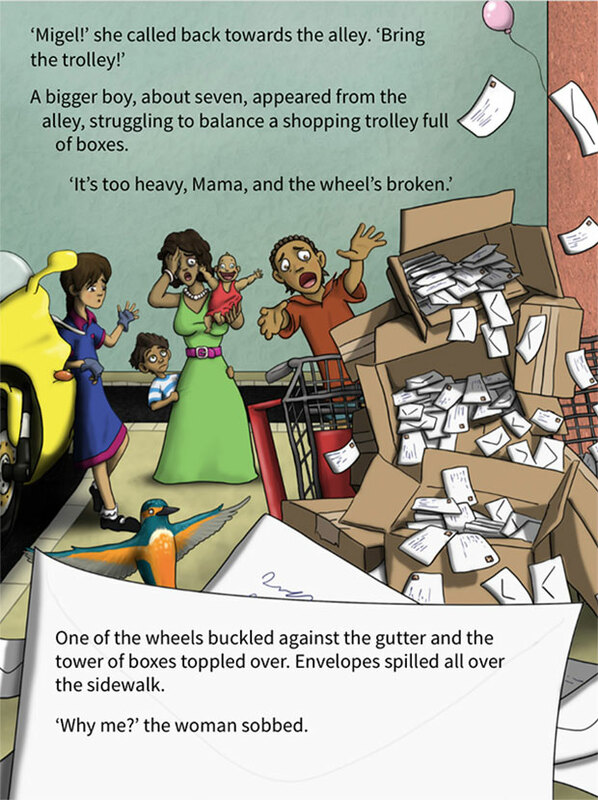 After the book was written Amanda coordinated the editing and the illustrations, which were done digitally by Glen Holman. Amanda then arranged audio narration recording, purchased sound effects, did the printed book design layout, designed the cover, designed the non-enhanced and enhanced ebook editions and coordinated publishing. Amanda and the team at are currently still working on the marketing for Myra, on a shoestring budget. 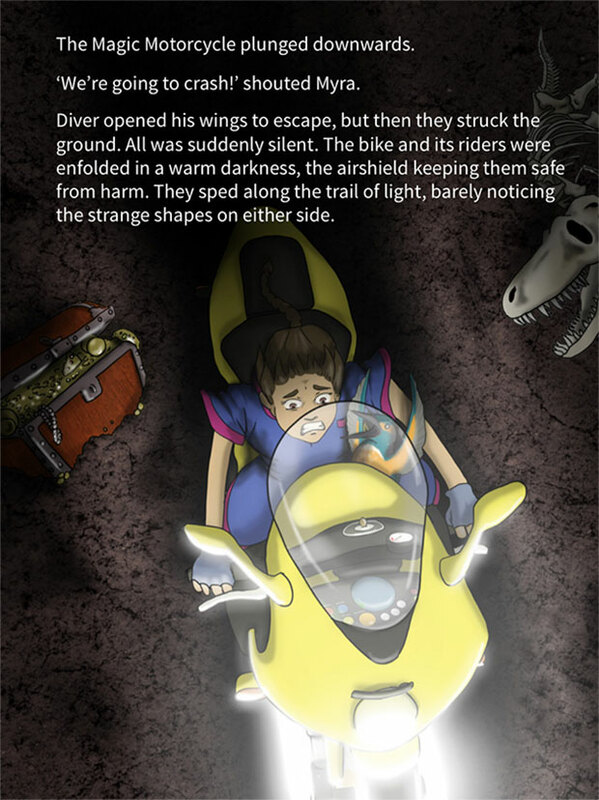 Unlike most children's books that are designed for print and then the ebook edition may not work very well at e-reader or tablet size, we started with the iPad dimensions in mind. We asked ourselves what was the best way to present a children's book on the iPad. We later made the print edition. For more on these ebook design decisions, you may be interested in the video recorded by Amanda here. Some time after the original release of the book, we worked on an audiobook version of Myra and the Magic Motorcycle. The audiobook was narrated by Kelly Stroud and Caitlin Stroud. Once the files met Audible specifications, it was released for sale.